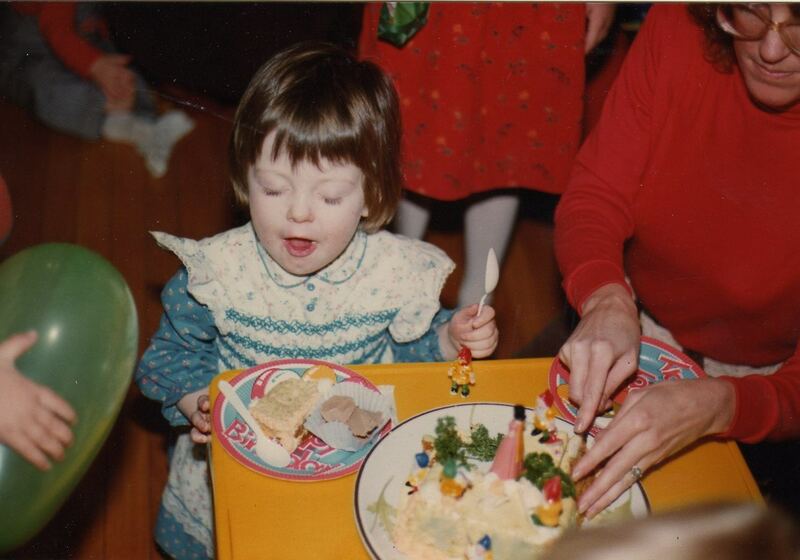 This past Friday I turned 32 & I've had a lovely relaxing Birthday weekend at home with my friends & loved ones. Here I am 30 years ago turning 3 in Minneapolis, MN. 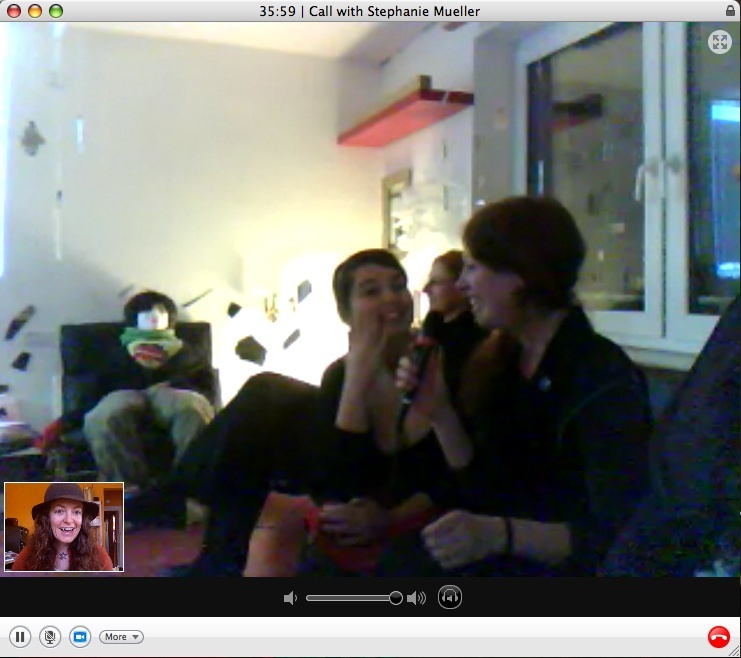 I started this morning out with a Q&A via Skype after a craft group in Munich had watched the film. It was really amazing and in the end the ladies had a birthday song to sing me. SO RAD! 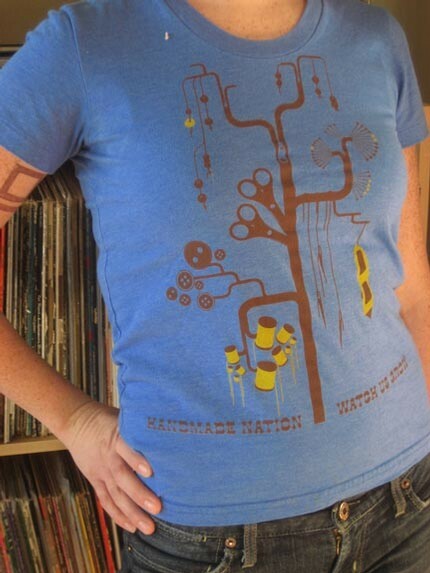 The Handmade Nation heather lake blue T-shirt with brown and mustard yellow print hasn't been available for the past year since I've been on the road with the movie, but they are now.... available while supplies last for $18 including shipping within the states. Check them out in our ETSY.com shop along with the limited edition Sublime Stitching patterns designed by Kate Bingaman-Burt. Thanks to my friend Julie Ansiau, Handmade Nation got a little mention (page 3, left side) in this 4 page spread in French Glamor on DIY. ACC lecture live & 55 locations! 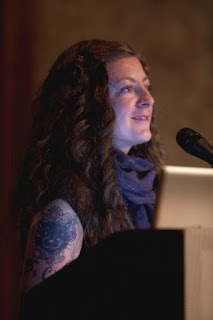 I just caught wind that the lecture I did at the American Craft Council Conference along with the other programing is now available on their site HERE. I don't look too nervous do I? I'm not sure if I will ever get used to speaking to a room full of 300 people, especially a heavy hitting crowd like that! FUN FACT: After updating my screening list for my editor & publisher I now know that since it's release in February 2009 Handmade Nation has officially screened in 55 locations internationally. 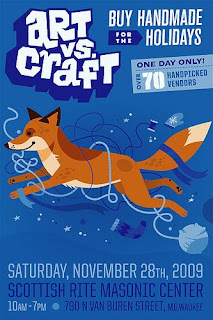 For those of you who may be curious I am continuing programing into 2010 as well and will keep updating the events on the blog as they roll in. Today I am uploading photos from some events that happened this past month. Other than my constant stream of Handmade Nation chores I am spending part of today catching up on never ending emails and getting ready for Art vs. 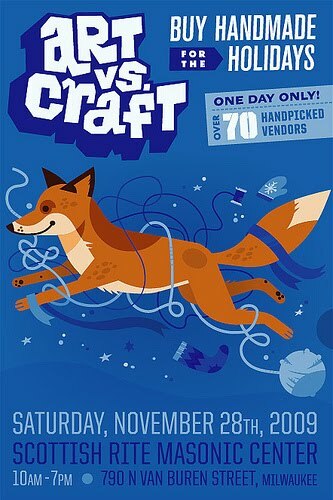 Craft, the indie show I produce in my hometown of Milwaukee that is creeping up in under two weeks! I couldn't be more pleased to tell you that as of November 3rd the Handmade Nation DVD is now available to all via Buyolympia.com HERE for wholesale or retail. Your support is appreciated, maybe put this on your holiday wish list? Updates and news to come soon!